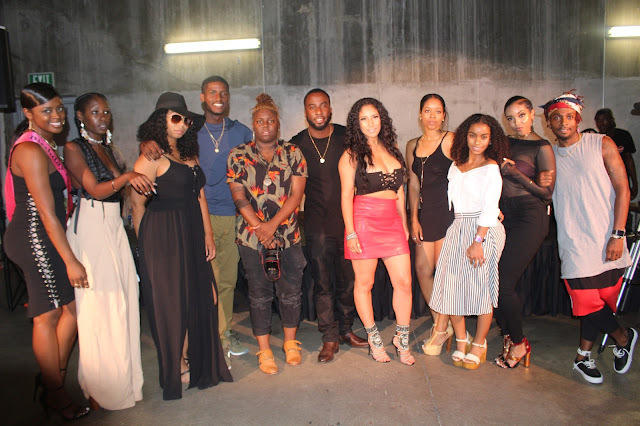 The Project Pit Mixer held at the Nate Holden Center in Los Angeles, California was filled with very good performances, an engaging panel of entertainment-forward thinking moguls, and most notably millennials mingling and having a good time. This wasn't the first time I've heard of Project Pit - a company progressively combining community efforts through events involving entertainment figures. Carlton Roberts created this venture years ago and his outlet even had the opportunity of interviewing me about this very own online magazine Young,Bold, And Regal. See Carl recognizes himself in the people he features and the people he associates with when it comes to building his brand of Project Pit. The genuine nature of himself and his team was exhibited at the first official mixer they had held. The vision of that night came to life because like-minded people believed in the company line. When it comes to Project Pit it's all about moving forward, how can we strengthen the community, and how can we better ourselves while simultaneously being better for our circle. The connective tissue of that night was conversation. Everything that night from the drinks at the bar, the spoken word performances, and the informative panel sparked necessary discussions. We're looking forward to the next event by Project Pit because you might meet a potential business partner, you maybe will have an open discussion that generates a brilliant an idea, and above all you most definitely will have fun.